My favorite tools for creating both fine art mosaics and micro mosaic jewelry are traditional Italian tools called matellina and taglioli (hammer and hardie). I first learned how to use these tools while taking an ancient Roman mosaic reproduction workshop given by Matteo Randi at The Chicago Mosaic School. We were taught how to cut marble and smalti (Italian glass) to create the tessera (pieces) that were incorporated to create a mosaic. I have since enjoyed using my hammer and hardie to open up and explore all manner of rocks. 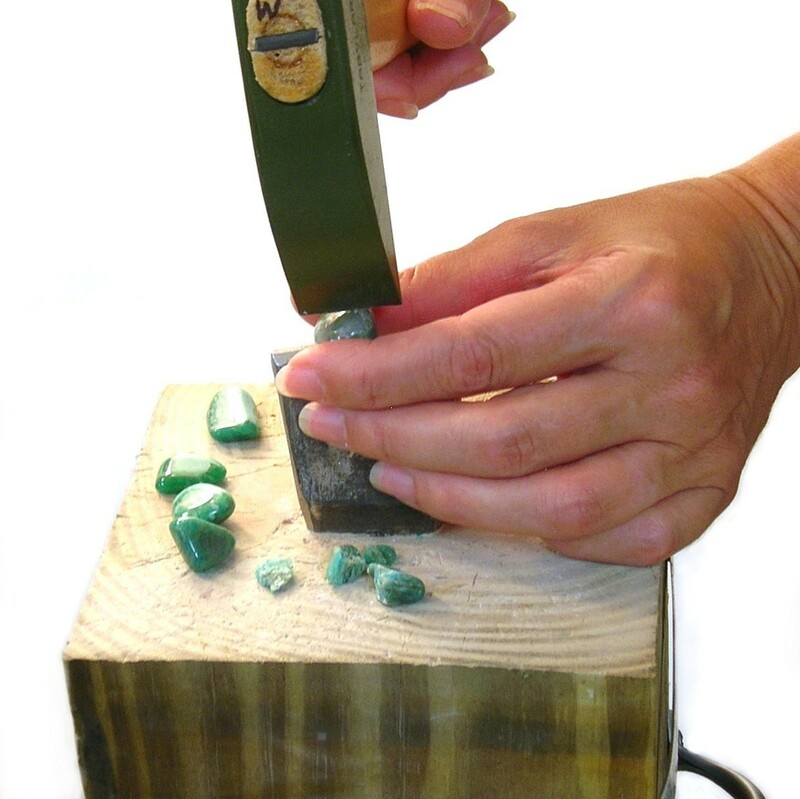 Today I use these traditional tools to cut the gemstones used to create my contemporary mosaic jewelry. If you would like to see my current gemstone micro mosaic art jewelry please visit Gray Raven Designs.